Sony India has announced the launch of its ultra-fast G Series memory cards in India. 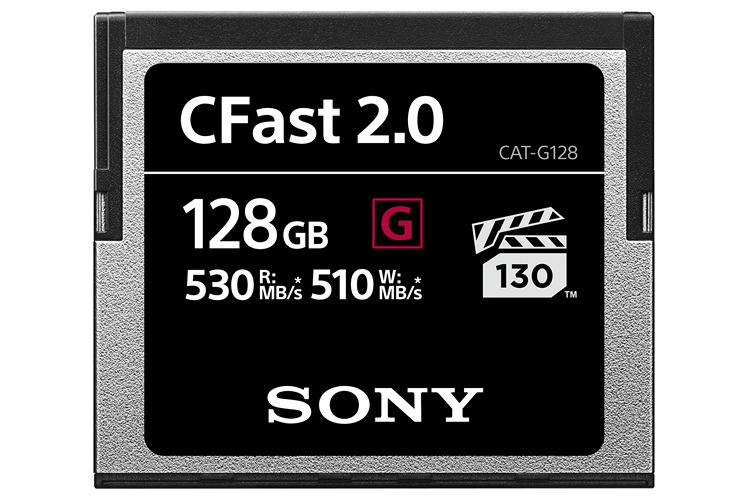 Originally announced late last year, the new G Series CFast 2.0 cards are aimed at professional photographers and videographers, and boast up to 510 MB/s write speed and up to 530 MB/s read speed. The cards actually have guaranteed write speed of 130MB/s, which makes them the industry-standard for storing professional-grade 4K video. The CFast cards not only support high-speed burst shooting of high-resolution RAW images, they also support VPG130 for reliable recording of cinema-grade or high-bitrate 4K video. The cards are available throughout the country with immediate effect, and are being offered in three different capacities – 32GB (CAT-G32), 64GB (CAT-G64) and 128GB (CAT-G128). They are priced at Rs. Rs. 7,400, Rs. 11,400 and Rs. 22,100 respectively. In addition to the new CFast 2.0 cards, the Japanese tech giant also offers a wide range of storage solutions in the country, including SSDs (Solid State Drives), XQD cards, SD cards, SxS cards, USB drives, and more. Sony says that its cards have survived a variety of stringent tests before they were introduced in the market. Those include drop tests, vibration tests, shock tests and rigidity tests, all of which ensure reliability, durability and versatility. The company also claims that the cards work across a wide range of temperatures and are highly resistant to static. The cards can also recover accidentally deleted files using the Sony File Rescue software. For those unaware, Sony and Nikon had originally backed the XQD standard in the high-end flash card market, releasing the first few products based on the standard as early as 2011. However, the Canon and Phase One-based CFast 2.0 standard got significantly more traction in the following years, leading to Sony’s apparent change in strategy to incorporate the rival technology into its product lineup.